You have added Gilded Baroque Floral Lace Dress into shopping cart. Everything about this dress is divine--from the gold floral lace to the flattering pencil cut. 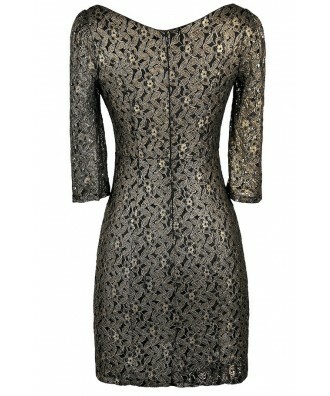 The Gilded Baroque Floral Lace Dress is made of metallic gold and black floral lace. It has a uniquely flattering neckline, half sleeves, an empire waist, and a fitted pencil cut. A hidden back zipper completes this dress. The Gilded Baroque Floral Lace Dress would make a cute cocktail dress or party dress. 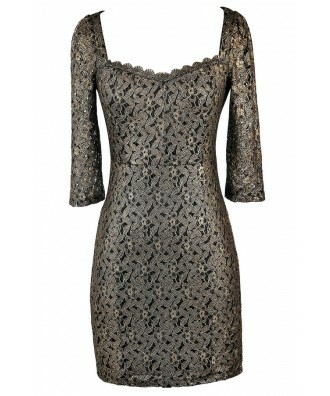 It is great option for the holidays or as a New Years Eve dress. Try pairing this dress with black or gold pumps or strappy heels and delicate jewelry. Details: Fully lined except at sleeves. Hidden back zipper. 70% cotton, 30% nylon. Hand wash in cold water. Do not bleach. Do not tumble dry. Do not iron. Do not dry clean. Small measurements: Length from top of shoulder to hemline: 32". Bust: 29". 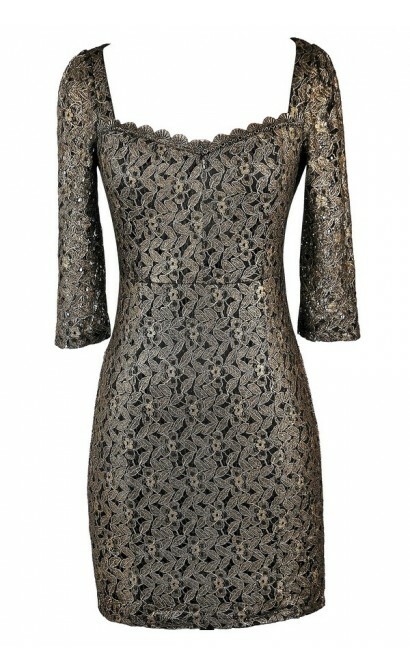 You have added Gilded Baroque Floral Lace Dress into Wishlist. 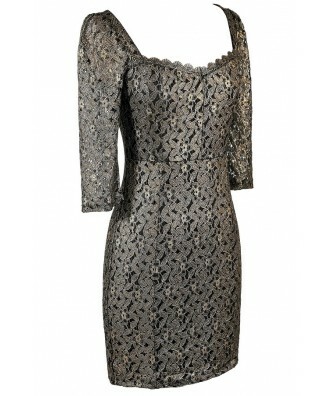 You have added Gilded Baroque Floral Lace Dress for Stock Notification. 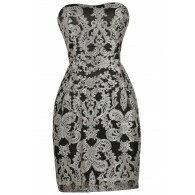 You have set Gilded Baroque Floral Lace Dress as a loved product. 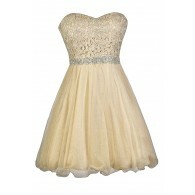 You have removed Gilded Baroque Floral Lace Dress as a loved product.